In its current form, Snapchat isn’t a highly accessible platform. This isn’t a problem that’s unique to Snapchat. Many emerging technologies are not up to government accessibility standards, which poses a challenge for the innovative agencies that want to adopt them. However after seeing the explosive growth of Snapchat over the years, we decided it was time to figure out how to address these accessibility issues, so that government agencies could use the app. Here’s our step-by-step guide for improving Snapchat accessibility. Plan your Snapchat story with accessibility in mind. Use the platform to tell a succinct story. We recommend storyboarding it before you start, just like you would if you were creating a video. See if the story makes sense from beginning to end and if it clearly communicates the information you’re trying to get across. Once you’ve created your story, download it in its full form from the Snapchat app. To do that, swipe to the right from the main photo screen. You’ll see your story at the top. Tap the three dots next to “My Story” and click the download arrow. This will save a video file to your phone enabling you to save the Snap story for your records management purposes. Now comes the fun part: Editing this video file for accessibility. You’ll need to create a captioned audio description and voiceover for the video. This will require some basic audio-recording and video-editing software. Record your audio first. Make sure the person recording the voiceover speaks slowly and clearly to describe what is happening in the video for those with limited vision. In the video-editing software, lay down your audio track and then drop your Snapchat video file on top of it. Edit as necessary until your audio and video sync. Export your completed video file and share it with the world. Make sure to include captions and a text transcript for screen readers. Now people who can’t access your content through the Snapchat app will still be able to experience what you’re sharing. 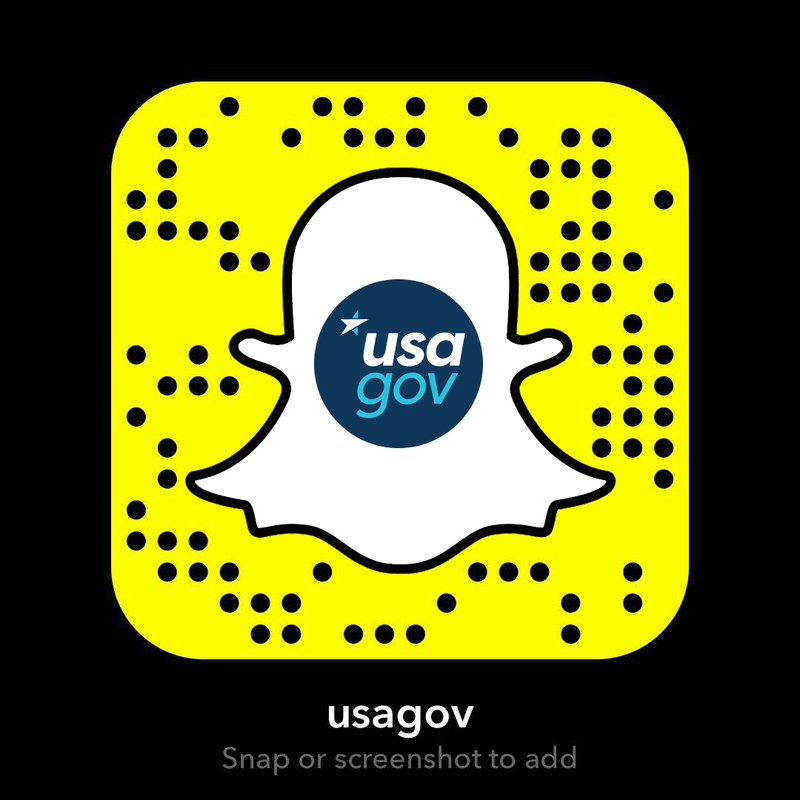 You can check out our Snapchat stories in real-time on Snapchat (our username is USAGov or follow using the Snapchat code above) or you can watch our more accessible versions on YouTube.